A new California-based company headed by President Cheng Yuan (Jerry Chen) of Taiwan, for an undisclosed amount. Chen heads a group of Chinese investors that some reports indicate include the Meijing Group, a Chinese real-estate developer. Chen indicated his priorities included resuming production of the Acclaim and the Ovation, while continuing to supply parts for the existing fleet. Chen stated the company would remain in Kerrville, and concentrate on supplying new aircraft for the Chinese market. Paul Bertorelli, AVweb's Editorial Director, Aviation Publications, questioned whether the outdated and expensive-to-produce Mooney models, that use engines burning avgas, can succeed in the Chinese market. With the injection of capital from its new Chinese owners, the company restarted production on 26 February 2014, starting with the completion of five previously incomplete airframes already on the assembly line. In April 2014 at Sun n Fun, the company announced a US$50M investment, including the construction of a Mooney museum in Kerrville to be run by a new nonprofit organization. With production underway, 85 employees were at work, with the workforce forecast to expand to 140 by the end of 2014. CEO Chen stated the company would deliver six aircraft in 2014 and 30 in 2015. In January 2015 the first aircraft, a Mooney M20TN, was delivered to a customer in China. The aircraft was shipped disassembled and then assembled and test flown in Zhengzhou, China. 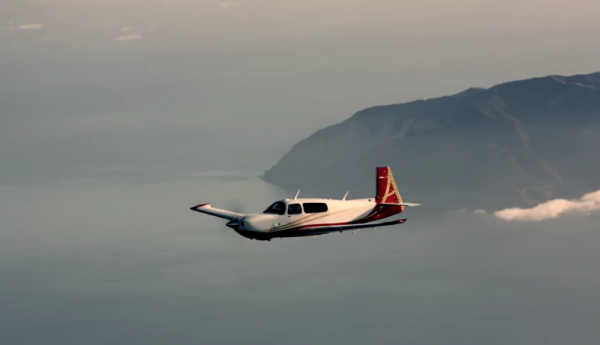 Two new Mooney models were announced on 11 November 2014. The Mooney M10T and the M10J are fixed gear composite aircraft powered by Continental’s CD-135 and CD-155 Diesel engines. The M10 series certification and deliveries are expected to begin in 2017.